Haragopal (aka Hara) is the Co-creator of finUNO® , an advanced conversational platform powered by AI that delivers contextual and hyper-personalized financial services to consumers. Hara grew up with Finacle® (at Infosys) for two decades (till October 2014), from its inception to global leadership across six continents, 80+ countries touching the lives of 850+ millions consumers. 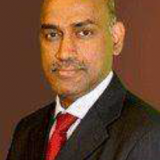 He was the Global Head of Finacle and was a member of the Executive Council of Infosys. Hara is a member of the global board of ISPMA (International Software Product Management Association), the global Software Product Management tribe. He is also on the governing board of IIML - SCIFI (Indian Institute of Management, Lucknow) Hara has been a regular speaker at various global forums. He partnered with Industry forums like BAI (USA), EFMA (EU) and Asian Banker in driving Innovation in Banking. Hara is a recipient of the Distinguished Alumnus Award in 2016 from the prestigious IIMB (Indian Institute of Management, Bangalore). Check out the incredible speaker line-up to see who will be joining Haragopal .